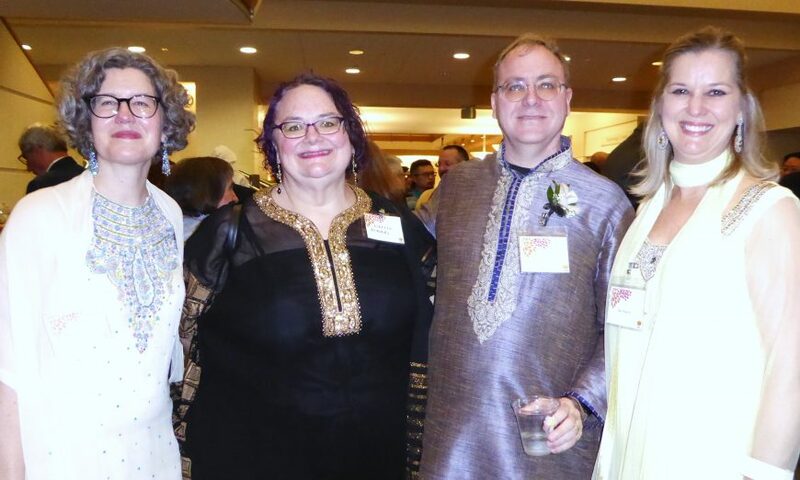 Bollywood Nights, theme of the 6th Annual Librarypalooza held at Central Park Library on Feb. 2, was such a hit that generous attendees pledged $74,000 for the support of library programs and services not covered by city funding. This was well beyond the evening’s goal of $60,000 and sets the bar high for 2020. Also, the fundraiser, organized by the nonprofit Santa Clara City Library Foundation and Friends (SCCLFF), exceeded the 2018 amount raised by $20,000. SiliconSage Builders was the 2019 lead sponsor. 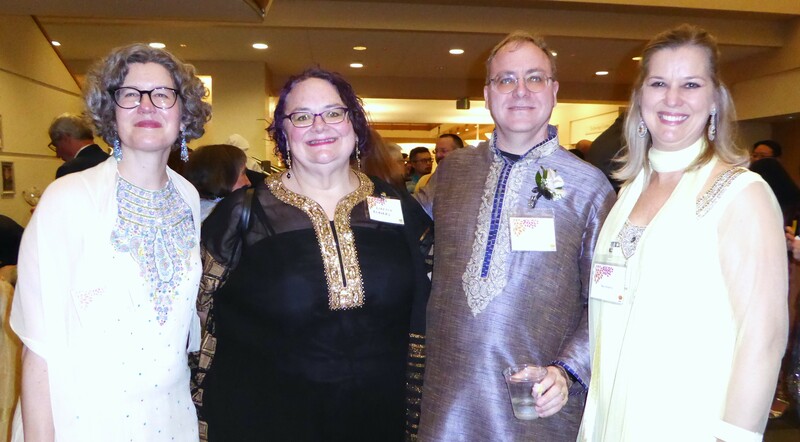 A live auction took place in the Redwood Room, where the library-loving attendees — many dressed Bollywood style in colorful Indian attire — raised their bid cards high to fund the library programs dearest to their hearts, such as the literacy, summer reading, and ESL conversation programs. Librarypalooza attendees were whipped to a frenzy of good-natured bidding competition over live auction experiences unique to Santa Clara. Lunch with Mission Branch Library manager Justin Wasterlain went for $700. Not to be outdone by her colleague, Northside Branch Library manager Cheryl Lee made a rap appeal for attendees to bid for lunch with her. She drew laughter and a winning bid of $1,100. Another exciting bidding battle was over a Mission Neighborhood guided tour led by retired Santa Clara history librarian Mary Hanel. The bidding peaked at $2,1000, the highest live auction bid of the evening. Other popular Santa Clara experiences auctioned were eight hours of games at the Isle of Gamers, a six-course dinner for eight at Fleming’s, a wine and art night at VinoArtist, and an afternoon of creativity at Get Crafty. All totaled, the live auction experiences raised $7,500. Called a fund and friend raiser, the Librarypalooza was also an opportunity to recognize faithful friends of the library. A Santa Clara resident since 1994, Keith Stattenfield, who served on the SCCLFF board for two terms, was honored as Library Hero of the Year. After accepting his award from last year’s hero, Bob Byrd, Stattenfield shared that he grew up in Wisconsin, where he learned to read early and read a lot. His mom took him to the library almost every Saturday. “I always had a book in my back jeans pocket,” said Stattenfield, a software engineer at Apple. 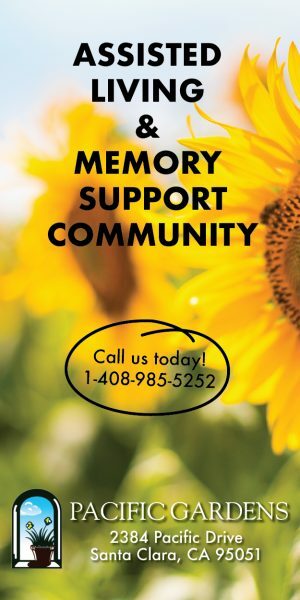 For information about SCCLFF, visit www.lovethelibrary.org. For information about Santa Clara’s three libraries and bookmobile, visit http://santaclaraca.gov/government/departments/library.